Pam Thompson was a wonderful friend, volunteer, and foster for Lucky Dog Rescue. Pam loved dogs and cats. She really was a true animal advocate. Many dogs, puppies, kittens and cats ended up in Pam’s care over the years. Pam truly was an expert at bottle feeding the tiniest of kittens. Her dog Morgan, a beautiful lab girl, was always on hand to show puppies how that doggy door worked. Tragically, Pam passed away of cancer at the age of 40 in 2013. 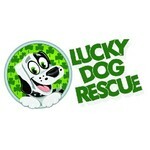 Pam had been a volunteer for Lucky Dog Rescue since 2006. The school that Pam worked for is in a very poor neighborhood, and people often asked her to help out with litters of kittens and puppies. Pam never turned anyone down. She would help raise money for the care and vet bills for these little creatures and often used her own money for food, milk and such. Pam leaves a huge void within Lucky Dog Rescue and all of us at Lucky Dog Rescue will miss her every day. It was Pam’s mom’s idea to create a memorial fund to honor Pam’s life and love for animals. My hope is that Pam’s legacy can continue on by creating a Pamela Thompson Fund to help unwanted and stray dogs and cats by providing veterinary care and a safe place to be until a few forever home can be found. Pam&apos;s parents, Judd and Carolyn Thompson, graciously started Pam&apos;s memorial fund with a $1000 donation. Lucky Dog Rescue is a 501(c)(3) non-profit organization run completely by unpaid volunteers like Pam. All monies raised go directly to the care of our dogs.